Visiting Malindi for the first time, one would be forgiven for thinking to be in some part of Italy and rightfully so…one glimpse at this coastal town and everything Italian is conspicuous; Italian restaurants, hotels, bakeries and so on. As a matter of fact, there are more than 2,500 Italian-owned properties in the town including residences, supermarkets, barber shops, butcheries, and other small businesses. What’s more, the locals who by the way speak fluent Italian, will warmly welcome you with a “Ciao Bella” with kids joyfully shouting “Ciao, Ciao”. 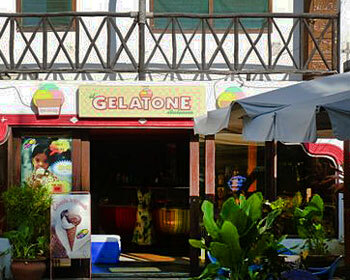 Italian culture is rife in Malindi. More and more Italians are either taking up residence or visiting the town annually. Today around 4,000 Italians are permanent residents, while 30,000 tourists visit each year. There is only one foreign consulate in Malindi — it represents Italy. Italian is probably the third most widely spoken language here, after Kiswahili and English. Goes to show just how deep the culture has seeped in “little Milan”. In fact many local businesses now advertise in Italian, alongside either English or Kiswahili. There has also been the mushrooming of many Italian language centers. For a taste of good pizza, fine Italian wine, gelato and great Italian conversations, Malindi or better yet “Little Italy” is the place to be. With such a high profile list of visitors to Malindi, the owner of Suli Suli Hotel which was later renamed Bougan Village, the late Duranti Camillo, may long have passed on and his body interred at the Malindi Christian Cemetery but his legacy lives forever in Malindi because he is the one who opened the doors for Italian tourism in Malindi. “Malindi’s good weather and its friendly people make the resort just addictive. Italian holiday makers who come to Malindi for the first time are so overwhelmed by its beauty they often come back, some come back to stay forever” says the Italian Consul in Malindi, Roberto Macri, who himself arrived in Malindi in 1978 and got stuck here. “I found this small fishing village where the weather was so good, the beaches wide and empty and the people extremely friendly, always smiling and co-operative and just felt at home. I decided to stay and even started my new life here complete with a family,” explains the Italian Consul who speaks fluent Swahili and some local languages. Italians interest in Malindi could as well have started in earnest in 1964 when Italian engineers and space scientists arrived in the then bushy town and established the San Marco Space Research Centre in Ngomeni area. Malindi tourism Among other early investors who put Malindi tourism on the world map for quality include international architectural designer and art promoter Armando Tanzini who constructed the White Elephant Hotel & Resort around 1981. Encouraged by Armando and following on his footsteps, other Italian investors such as millionaire Vitali Gianfranco established the Coconut Village. Years later came the Coral Key chain of hotels now owned by one of the most respected Italian investors Marco Vancini. Today the Italian investor owns several blue chip tourist resorts among them the Coral Key, the Blue Key and the Lawfords Beach Club besides many villas and cottages which provide accommodation mainly for top notch Italian tourists. MALINDI, KENYA: When sometime in December 1978, one sunny afternoon, a group of 150 Italian tourists landed at the Moi International Airport in Mombasa, in a charter flight from Italy, and headed to Suli Suli Hotel in Malindi, no one knew that the arrival would herald the opening of tourism floodgates from Italy to the sleepy town of Malindi. Demand for accommodation and Italian lifestyles have, since that December 35 years ago, seen Italians invest trillions of Lira (the Italian currency) in tourism sector in Malindi. 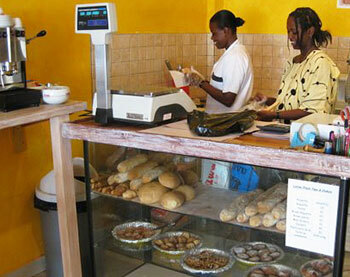 Not for nothing then Malindi has come to be known in some circles as the ‘Little Italy’ in Kenya. Looking back , there is no doubt that without Italians, the tourism industry in Malindi would have long died since the Germans and Swiss stopped coming to the resort town many years ago. Italian community The Italian community has invested so heavily in Malindi’s Hotel and Villas accommodation to a level that today- it is one of the few small urban centers in the world with an Italian consulate. Tourism in Malindi is highly Italian-oriented with close to 50 Italian-owned hotels and resorts employing more than 15,000 Kenyans. On the other hand, private villas and cottages in Malindi which are mainly patronized by Italian provide between 5,000 and 6,000 accommodation units. At least 10,000 workers are employed by the owners of the villas and cottages with an average of at least 1,500 Italians living in Malindi permanently throughout the year. At least 30,000 Italian tourists visit Malindi every year. Malindi’s wide, pristine and golden sandy beaches have proven an irresistible attraction to Italian holiday makers who have often included billionaires, politicians and celebrities willing to pay top dollar for the privacy and tranquility that is only found in Malindi. Former Italian Prime Minister and billionaire Silvio Berlusconi has holidayed in Malindi several time including a visit a few months ago. With such a high profile list of visitors to Malindi, the owner of Suli Suli Hotel which was later renamed Bougan Village, the late Duranti Camillo, may long have passed on and his body interred at the Malindi Christian Cemetery but his legacy lives forever in Malindi because he is the one who opened the doors for Italian tourism in Malindi. “Malindi’s good weather and its friendly people make the resort just addictive. Italian holiday makers who come to Malindi for the first time are so overwhelmed by its beauty they often come back, some come back to stay forever” says the Italian Consul in Malindi, Roberto Macri, who himself arrived in Malindi in 1978 and got stuck here.